SMITH, TITUS, farmer, surveyor, office holder, botanist, author, and journalist; b. 4 Sept. 1768 in Granby, Mass., eldest child of the Reverend Titus Smith and Damaris Nish; m. 4 Jan. 1803 Sarah Wisdom in Halifax, and they had five sons and nine daughters; d. 4 Jan. 1850 in Dutch Village (Halifax). In 1768 Titus’s father became a convert to the teachings of the Reverend Robert Sandeman and was later ordained in his sect. When the American revolution broke out, Smith and other Sandemanians discovered that the sect’s opposition to participation in violence or rebellion left its members vulnerable to the suspicion of rebels, who operated on the assumption that “he who is not for us is against us.” The family took refuge on Long Island, N.Y., and in 1783 was evacuated to Halifax, where the Reverend Mr Smith responded to a call to preside over a church group. The family also farmed at Preston, near Dartmouth, and in 1796 moved to Dutch Village, west of Halifax. Titus Smith Jr earned his living as a farmer and as an occasional land surveyor, a training he acquired in his twenties. On four occasions between 1808 and 1829 the provincial government appointed him an overseer of roads. The earliest mention of his interest in nature appears in the diary of Lieutenant John Clarkson [see David George*], who recorded on 12 Oct. 1791 that he had called upon “an honest gardener” who “is an excellent Botanist and lays out a part of his garden for experiments.” Among these endeavours were attempts to acclimatize seeds to the Maritimes. Farmers and gardeners in Nova Scotia were then in the habit of using seeds imported from England. Smith observed that these seeds had a tendency to fail, and was successful in modifying them to local conditions. Wentworth, who had known the Smith family in New England before the revolution, issued instructions in May 1801 for Titus to “visit the most unfrequented parts, particularly the banks and borders of the different rivers, lakes, and swamps, and the richest uplands.” He was to report on “the soil, the situation of the lands, and the species, quality and size of the timber; the quantity of each sort also, and the facility with, which it can be removed to market.” Smith set out that month on the first of three trips he would make into the interior between then and October 1802. He spent more than 150 days in the woods equipped with only his instructions, a compass, writing material, the best available map, “which was probably as much hindrance as help,” and whatever he could wear and carry to sustain travel by foot over some of the roughest terrain on the continent. Smith submitted the results of his explorations in the form of journals, ink drawings of plants, floral lists and descriptions, and a map, which remained the only general one of the province for some 30 years. His report provides a highly detailed account of Nova Scotia’s forests, rivers, geological features, and wildlife. In addition to noting the growing scarcity of moose, caribou, and beaver (“I have not seen more than half a dozen inhabited Beaver houses in the whole course of my tour”) and its effect on the native population (“the internal parts of the Province are but little frequented by the Indians in the Winter”), he listed most of the 33 species of forest trees native to the province’s mainland, 50 shrubs, 20 species of grasses, sedges, and rushes, 20 other species in a catch-all category, and approximately 100 kinds of medicinal plants. Eville Gorham, an ecologist writing in 1955, states that Smith’s journals reveal “insight into the pattern and process of vegetation development far in advance of his time,” and that they “may well be the first major contribution to plant ecology in North America.” Smith’s exploration of the interior of Nova Scotia was the beginning of some five decades spent in the public eye dealing with botany, natural history, agriculture, and the correct use of natural resources at the time of the Industrial Revolution. When Halifax’s Province House was completed in 1818, it was Smith who was asked to choose and plant the trees that would grace the square. Twenty years later, he was one of several expert witnesses invited to discuss conditions in Nova Scotia as part of the investigations of Lord Durham [Lambton]. During his visit to Quebec, the only time he left Nova Scotia as an adult, he gave testimony concerning geology, roads, land prices, the conditions and extent of cultivation county by county, and the province’s potential for mineral production. These extensive comments were based on his journals which, he informed Durham’s commission, “were written every night, while I was making those observations.” In 1841, when the Central Board of Agriculture was founded in Halifax, the second such organization to bear that name, Smith became its secretary, a position he held until his death. Smith often wrote and lectured on subjects relating to nature and how this resource ought to be used. 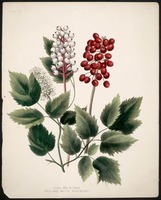 In 1839 he encouraged Maria Frances Ann Morris*, a Halifax artist, in her wish to paint the province’s flora, and wrote the descriptive texts to her Wildflowers of Nova Scotia. He was a regular contributor in the 1840s to several Nova Scotia newspapers, including Angus Morrison Gidney*’s Yarmouth Herald and Richard Nugent*’s Colonial Farmer (Halifax), which he edited. Characteristically, as reported by a son-in-law, “he was always beforehand with work. Up to the time of his death, and for years previously, he prepared a weekly article on agriculture for the Acadian Recorder of Halifax; and at the time of his decease he had several weeks’ matter ready for the printer.” He was a founder of the Halifax Mechanics’ Institute and lectured before it on mineralogy, natural history, and painting. In 1833 he received a grant of £15 from the legislature to collect specimens of geology, botany, and mineralogy for the institute’s museum. Smith also possessed a reputation as a thinker. 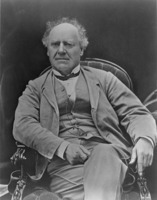 Called “the Rural Philosopher of the Dutch Village,” a term that first appeared in Joseph Howe’s* Novascotian in 1828, Smith espoused a “natural philosophy” that embraced three themes. First, he had a deep belief in God as a wise Providence. Secondly, he was persuaded that humanity had a duty to discover, use, and conserve nature’s bounty. Finally, many progressive ideas embodied in the advance of industrialization were in his view out of rhythm with nature and therefore wrong. In a lecture given in 1835 Smith spoke of the forests as “the garden of God,” where nothing was superfluous or out of place. Smith placed God and nature together; the first concept expressed the personality of God, and the second the force of creation and preservation in the world. Life, Smith wrote, should accommodate itself to natural rhythms: “Whenever man neglects the dictates of nature, he is sure to be the sufferer.” He was highly critical of the way in which European settlers, in contrast to the Indian inhabitants, squandered natural resources. Reasonable use, together with careful conservation, was Smith’s message. An indication of his preparedness to seek the potential value in everything was his recommendation in the 1840s that Halifax use a series of lakes northeast of the city, called the Chain Lakes, as the source of its earliest supply of piped water. The 19th century’s obsession with “progress” left Smith unimpressed. He criticized industrialization as being nothing more than a scheme to create great fortunes for capitalists while rendering the lives of the operatives unenviable. He believed that nature could provide for all if people were to husband resources and if surplus populations were to migrate to areas capable of carrying them. Titus Smith died as a consequence of an attack of jaundice which struck in the autumn of 1849 and “which he tried to ward off by taking more than his usual exercise.” His obituary in the Acadian Recorder stated: “Had circumstances placed him in a different sphere, we believe he possessed one of those giant intellects which is the production of an age, and capacitates its possessor to figure prominently in the world’s history. 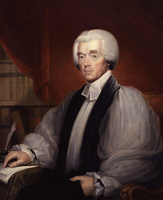 But his was a different lot.” Unlike John Young or gentlemen farmers such as Bishop Charles Inglis*, Smith possessed a knowledge of agriculture in Nova Scotia that was empirically based and not the outcome of theoretical speculations founded on British or American conditions. He was a polymath and his concerns aroused in his countrymen more than a passing notice of nature and conservation. His broad interests permitted him to advise and assist his contemporaries in matters that included botany, biology, ecology, and agriculture. It appears that many people regarded him as an oracle. Through his studies and his travels Titus Smith probably knew his province better than anyone then alive. Indeed, it is doubtful whether Nova Scotians have seen his like since. Titus Smith’s journals are located at PANS, RG 1, 380–80A. Excerpts from them have been published in A. H. Clark, “Titus Smith, Junior, and the geography of Nova Scotia in 1801 and 1802,” Assoc. of American Geographers, Annals (Washington), 44 (1954): 291–314; Eville Gorham, “Titus Smith, a pioneer of plant ecology in North America,” Ecology (Durham, N.C.), 36 (1955): 116–23; Barbara Grantmyre, “Two peripatetic gentlemen,” Nova Scotia Hist. Quarterly (Halifax), 6 (1976): 375–82; and Titus Smith, A natural resources survey of Nova Scotia in 1801–1802 (Truro, N.S., 1955). 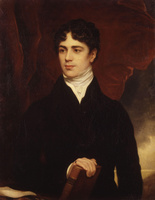 His testimony before Lord Durham’s commission of inquiry was published in Minutes of evidence taken under the direction of a general commission of enquiry, for crown lands and emigration . . . (Quebec, 1839), Nova Scotia testimony, 18–25 (i.e. 29], where he is incorrectly identified as Silas Smith. The error was rectified when the information gathered by the commission was republished in Report on the affairs of British North America, from the Earl of Durham . . . ([London, 1839]); Smith’s testimony appears in app.B: 134–40. Smith is the author of “On the operations of fungi in disintegrating vegetable substances” and “A list of the principal indigenous plants of Nova Scotia,” Halifax Monthly Magazine, 1 (1830–31): 339–42 and 342–45, and of Lecture on mineralogy; delivered by Titus Smith, on March 5, 1834, before the Halifax Mechanics’ Institute (Halifax, 1834). Another lecture, read before the institute on 14 Jan. 1835, was published as “Natural history of Nova Scotia” in the Times (Halifax), 27 Jan. 1835: 29, and in the Magazine of Natural Hist. (London), 8 (1835): 641–62, under the title “Conclusions on the results on the vegetation of Nova Scotia, and on vegetation in general, and on man in general, of certain natural and artificial causes deemed to actuate and affect them:” He also prepared the descriptive text for M. [F. A.] Morris, Wildflowers of Nova Scotia . . . , accompanied by information on the history, properties, & c. of the subjects (2 pts. in 1v., Halifax and London, 1840). His translation of two German legends appears as “Translations from the German,” Halifax Monthly Magazine, 1: 389–91. PANS, Map Coll., Nova Scotia general, “A map of Titus Smith’s Track through the Interior of Nova Scotia”; RG 1, 411, [no.144]; RG 34-312, P, 8, 18 March 1816. John Clarkson, Clarkson’s mission to America, 1791–1792, ed. and intro. C. B. Fergusson (Halifax, 1971). Acadian Recorder, 23 May 1829, 12 Jan. 1850. Colonial Farmer (Halifax). Novascotian, 3 July 1828, 7 Jan. 1850. Nova-Scotia Royal Gazette, 24 May 1808. Encyclopedia Canadiana. Sylvester Judd, History of Hadley . . . (Northampton, Mass., 1863). M. J. Katzmann, Mrs William Lawson, History of the townships of Dartmouth, Preston and Lawrencetown; Halifax County, N.S., ed. 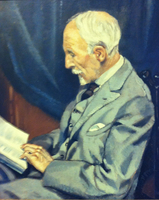 Harry Piers (Halifax, 1893; repr. Belleville, Ont., 1972), 205–18. Harry Piers, Titus Smith, “The Dutch Village Philosopher,” pioneer naturalist of Nova Scotia, 1768–1850 (Halifax, 1938). S. B. Elliott, “Titus Smith – the Dutch Village Philosopher,” Education Nova Scotia (Halifax), 4 (1974), no. 16: 1–2. C. B. Fergusson, “Mechanics’ institutes in Nova Scotia,” PANS Bull. (Halifax), 14 (1960): 32, 35. J. S. Martell, “From Central Board to secretary of agriculture, 1826–1885,” PANS Bull., 2 (1939–41), no. 3: 5. Harry Piers, “Artists in Nova Scotia,” N.S. Hist. Soc., Coll., 18 (1914): 139. T. M. Punch, “Maple sugar and cabbages: the ‘philosophy’ of the ‘Dutch Village Philosopher,’ Nova Scotia Hist. Quarterly, 8 (1978): 19–38. William Smith, “Some account of the life of Titus Smith,” Nova-Scotian Institute of Natural Science, Trans. (Halifax), 1 (1863–66), pt.4: 149–52. C. St. C. Stayner, “The Sandemanian loyalists,” N.S. Hist. Soc., Coll., 29 (1951): 81–82, 104–5. Terrence M. Punch, “SMITH, TITUS,” in Dictionary of Canadian Biography, vol. 7, University of Toronto/Université Laval, 2003–, accessed April 26, 2019, http://www.biographi.ca/en/bio/smith_titus_7E.html.